If I were a Shiite, if I were a high-ranking Shiite cleric, if I were sitting in the place of the object of emulation of the Shiites, then at the same time that I would love the Shiite creed, I would also think about humanity. My heart would ache over all the atrocities that have been done to people – Shiite or otherwise. And when I saw records of the barbaric tortures that have been carried out in the prisons of the Islamic Republic, tears would pour from my eyes. When he acted, Ayatollah Montazeri was not a member of the Mujahedin, nor was he a supporter of any of the Marxist or leftist groups. 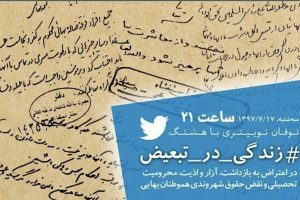 He was one of the architects of the Islamic regime; he occupied the seat of the deputy Supreme Leader and the “hope of people and the Imam”. But when he witnessed the slaughter carried out by the regime and the inhumane tortures in the nation’s prisons and when he heard about the carnage taking place within the prison walls, then not only did his heart ache and his eyes weep, but he also loosened his tongue to strongly protest and oppose such tyranny. He sacrificed his entire political position and future leadership in defense of human virtues. He defended the Mujahidin, who had cravenly assassinated his own son, as well as the communists and Marxists whom he had no reason to like and indeed may not have had any sympathies for at all. He condemned the regime’s numerous massacres and the medieval tortures of that murderous decade. In carrying out his historic duty, in the strongest voice possible, he denounced the serial massacres of prisoners throughout the country which were taking place on the instructions of the powerful ruler of that time, Ayatollah Khomeini, and he deplored them as crimes against humanity – thereby parting company with the cruel and murderous leadership. Ayatollah Montazeri denounced Khomeini’s leadership at a time when no one else would dare complain about the vicious and murderous deeds of the “Imam”. Many of those who today array themselves in opposition to the government, or who appear in the cloak of reform and who pretend that from birth they have been defenders of democracy and human rights – not only at that time – when Montazeri spoke courageously in denunciation of Khomeini, they did not utter a word against any of the criminal deeds of the regime and its leader – indeed many of them closely collaborated with the regime in implementing those tyrannical and barbaric policies. Not only did they refuse to provide any support whatsoever to Ayatollah Montazeri, but in fact they arose in opposition to him, or with their calculated silence they aligned themselves with the murderers and thereby helped to further isolate and marginalize Montazeri. The latest effort of Ayatollah Montazeri in defending the civil rights of the Baha’is is yet more evidence of his historic bravery. The significance of his remarkable defense of the Baha’i community and the civil rights of the Baha’is is underscored even more when, even after his declaration, we still find only a handful of religious intellectuals who concur in supporting the civil rights of the Baha’is. And the one or two who have found the courage to speak in support of the civil rights of the Baha’i community have gained this courage after the brave pronouncement of Ayatollah Montazeri – as otherwise, most likely they would have continued with their deafening silence on this vital issue. The defense by Ayatollah Montazeri of the Baha’i community of Iran speaks of his deep commitment to human rights. Whether as a Shiite cleric or from the position of a devoted Shiite, it is most evident that Ayatollah Montazeri has no sympathies towards the Baha’i community or the followers of that religion. In fact, from his religious perspective and jurisprudential convictions, most likely he considers the Baha’i Faith to be a wayward sect and an opponent and enemy of the Shiite creed. 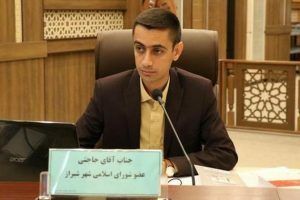 Nevertheless, he has defended the civil rights of the Baha’is of Iran, and has signified that they possess all the rights associated with such citizenship. The historic import of this verdict is in the fact that during the past 150 years, not a single religious authority has shown the same courage in defending the rights of the Baha’is – particularly at a time when the government in the name of “Islam” has devoted itself to the suppression of the followers of this religion. As far as I recall, many leaders of political groups, many even among the rank and file, have become very happy about the suppression of their opponents at the hands of the Islamic regime. They have never complained when the principals of various parties and political groups were tortured in the most barbaric manner and dragged before sham television shows to confess to their “guilt”. Husayn-Ali Montazeri is among those rare figures in the contemporary history of Iran who has defended his adversaries, even has defended those who assassinated his own child. His defense of the Baha’is and their entitlement to live and enjoy civil rights is yet another demonstration of his deep belief and his understanding of the rights of all people, including those with whom he disagrees. Agreeing to defend the civil rights of the imprisoned Baha’is is her latest courageous act. However, because she decided to defend the imprisoned Baha’is, the Security authorities have recently attempted, through the nation’s official reporting agency, IRNA, to elevate the “cost” to her to the level of a charge of apostasy, in a filthy and malicious plot. In this official scheme, IRNA has announced that her daughter has become a Baha’i and has then proceeded to claim that Mrs. Ebadi herself has also become a Baha’i, and that it is her change of religion from Shiism to the Baha’i Faith which has prompted her to defend the civil rights of the Baha’is. To neutralize this malicious campaign against her, Mrs. Ebadi announced in a press conference that she was a Shiite and proud of her adherence to that religion, but that she also would continue to defend the civil rights of the Baha’is. What would I do in this situation if I were a lawyer and a Muslim Shiite and at the same had enough courage and professional ethics, and if I was committed to defending the human rights of other citizens? Would I defend the civil rights of the followers of the Baha’i Faith? Would I be willing, as a lawyer, to defend those who have been incarcerated on the grounds of being Baha’is, particularly in a country in which Baha’is enjoy no rights whatsoever? Would I defend Baha’is, when as their lawyer I stand accused by the official news organ of the nation – which is the voice of organized crime and of the dreaded security apparatus of Iran – of the charge of apostasy, and have been threatened with death? And if I had the courage to defend the Baha’is, would I remain silent in the face of an evidently false charge of apostasy by the security and intelligence agencies of the nation, or would I express my pride at being a Muslim who is willing to defend the civil rights of the Baha’is? I am not sure how many among us, if we lived in Iran, and were a Shiite (and actually believed in our religion! ), and were a lawyer, and if our life was constantly threatened by both the official authorities and by their hired thugs, would continue like Mrs. Ebadi to defend the Baha’is. There are hundreds, perhaps thousands, of Shiite lawyers in Iran, and very few of them would contemplate taking on such a case. When Shirin Ebadi says she is a Shiite, she is not lying. She is a Shiite, in the same way that Ayatollah Montazeri is a Shiite. 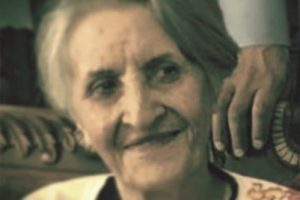 She has now agreed to defend the Baha’is and their leaders in the courts of the Islamic Republic after three decades in which the silenced Baha’is have been brutally suppressed, even though there are thousands of other lawyers and legal scholars in Iran. Why shouldn’t she express her pride at being a Shitte at the same time that she has arisen to defend the rights of the Baha’is? Should the situation be as the publishers of the Kayhan Newspaper insist – namely, that if she wants to defend the Baha’is then she must abandon her Shiite faith? Is it written somewhere that only the Baha’is are allowed to defend the Baha’is? I can be a Jew and be proud that I’m a Jew. I can be a Christian and be proud that I’m a Christian. I can be a Shiite and be proud that I’m a Shiite. I can be a Baha’i and be proud that I’m a Baha’i. I can have no religion and be proud that I’m irreligious. But at the same time that I am proud of my convictions, if I stood up to defend the rights of others, then I could also be proud of my humanity.